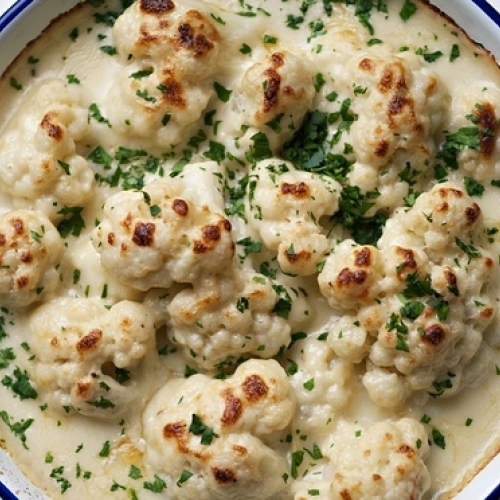 Cauliflower cheese with smoked garlic and cheddar for a cold winter's night. 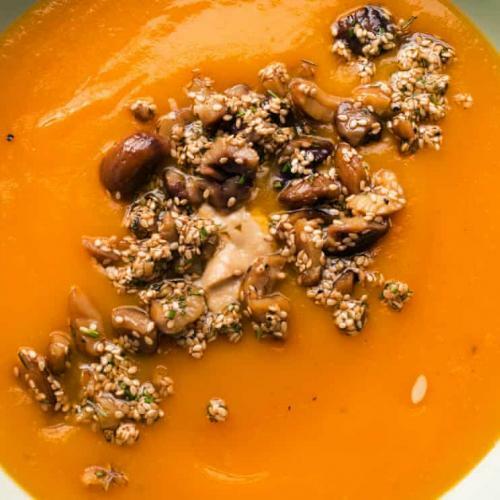 A warming butternut squash soup with chestnuts and tahini. 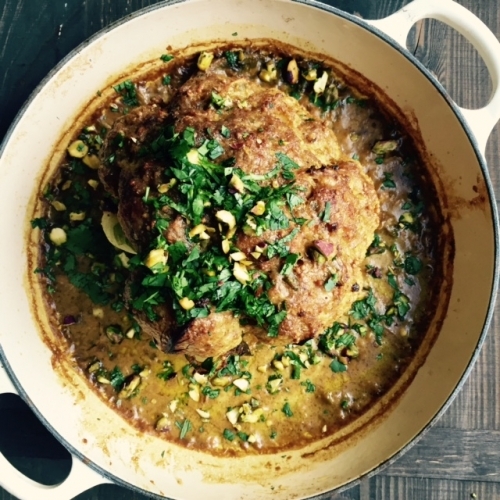 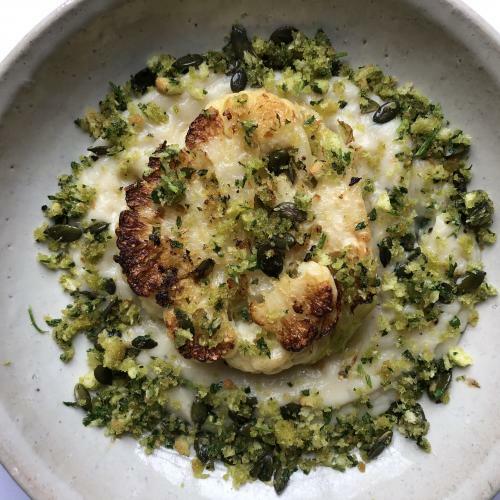 Cauliflower, baked with mustard seeds, garam masala, pistachios and coconut milk. 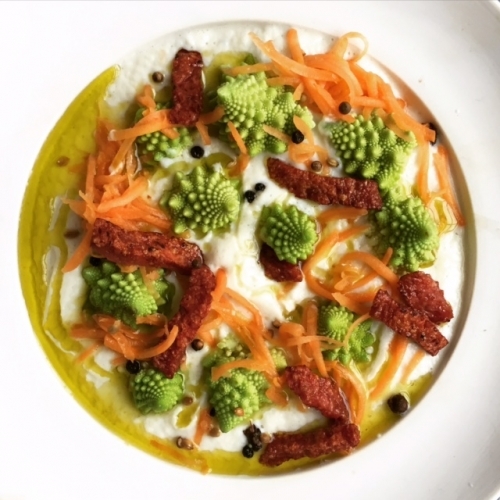 A creamy cauliflower soup with pickled carrots, romanesco and toasted salami. 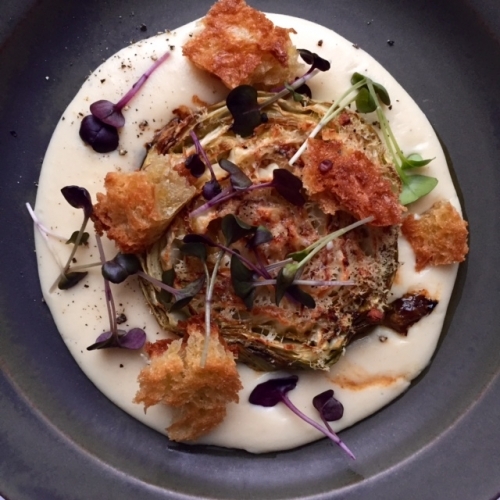 Slices of winter cabbage, roasted, with Parmesan cheese sauce and toasted bread. 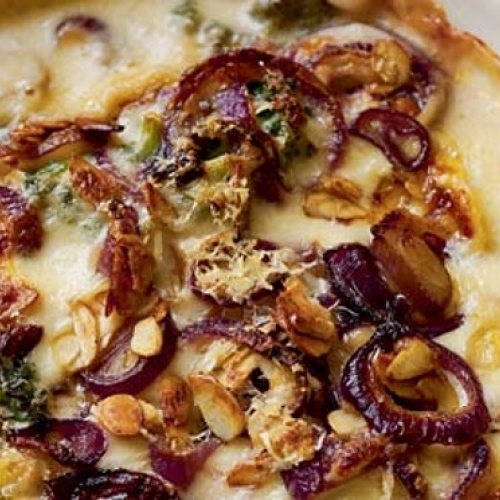 Kale, red onions and toasted almonds in a cheese sauce. 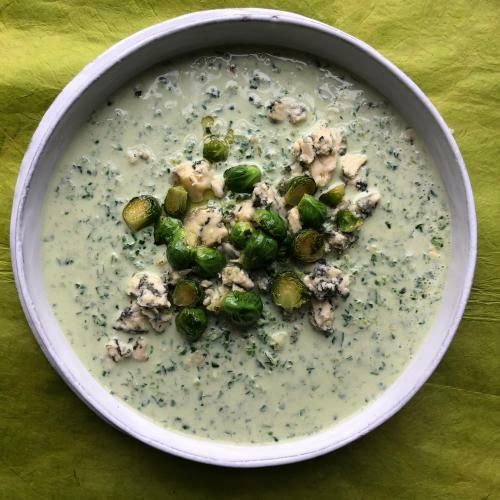 A creamy, soothing soup of Brussels Sprouts and Blue Cheese. 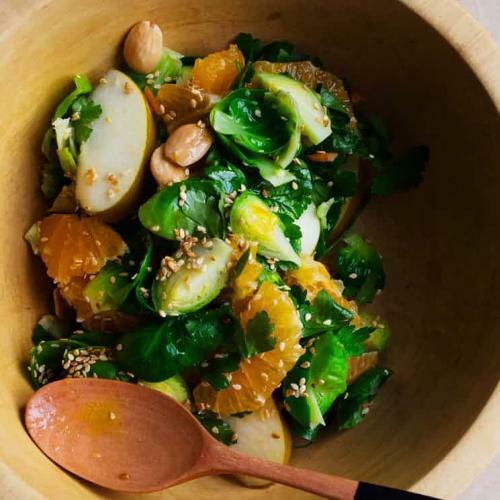 A salad of brussels sprouts, clementines, honey, almonds and apples. 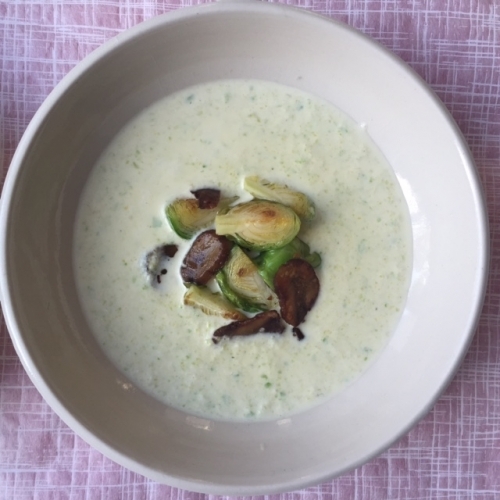 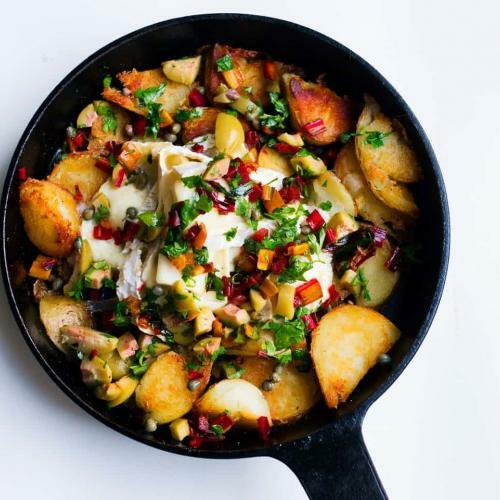 A dish for the depths of winter. 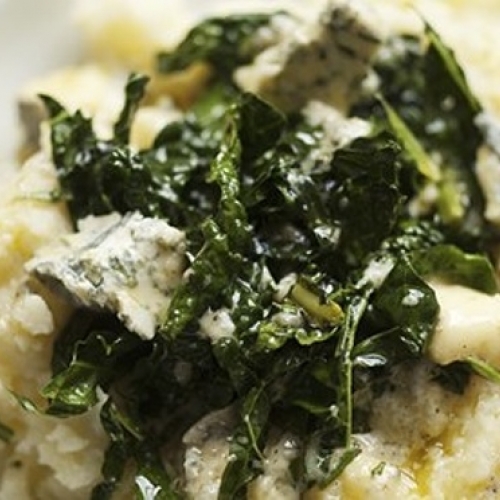 Mashed potato, blue cheese, black cabbage. 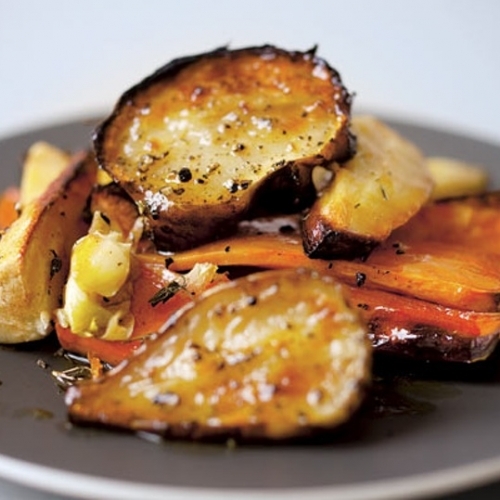 An accompaniment to the roast goose or turkey. 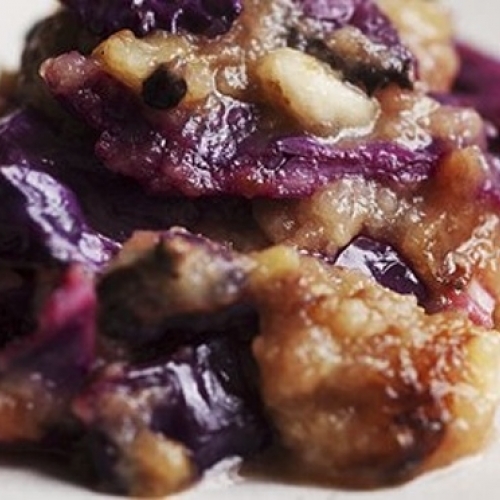 Red cabbage, apple, juniper. 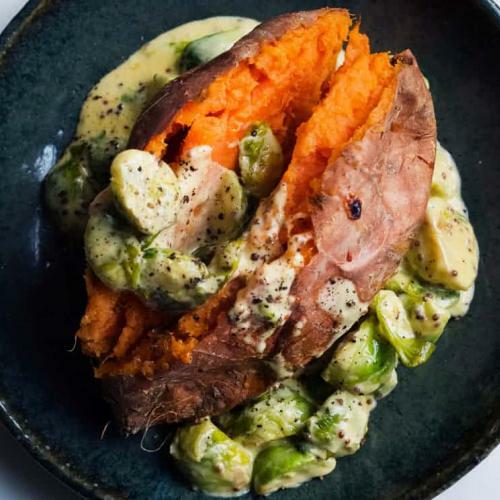 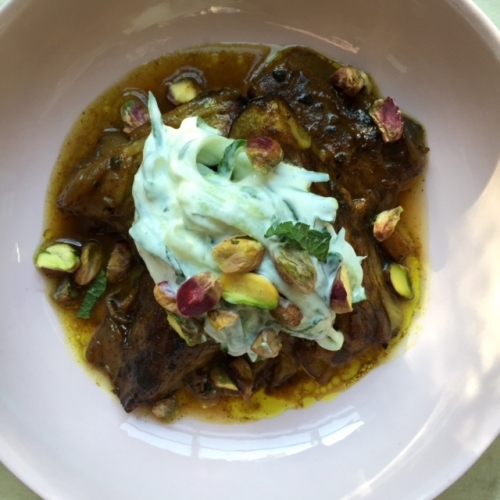 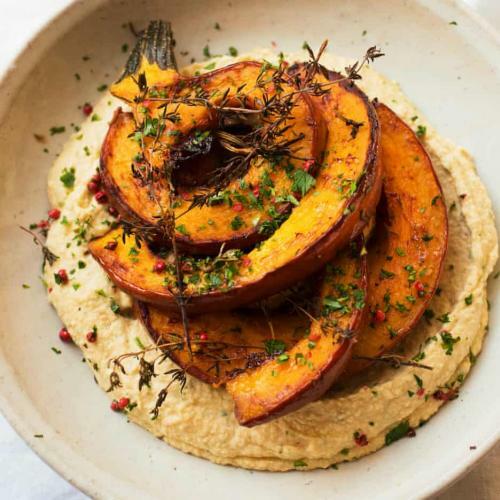 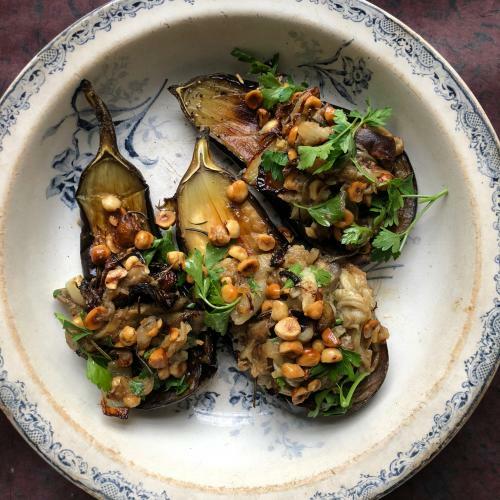 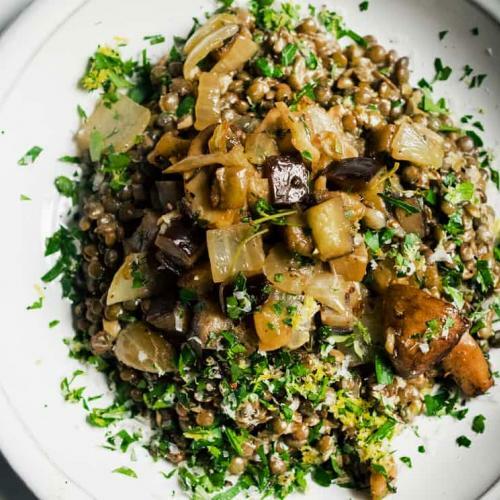 Peeled aubergines cooked slowly with ginger, turmeric and cloves and pistachios..
A warm salad or side dish of roasted root vegetables and sweet vin cotto dressing. 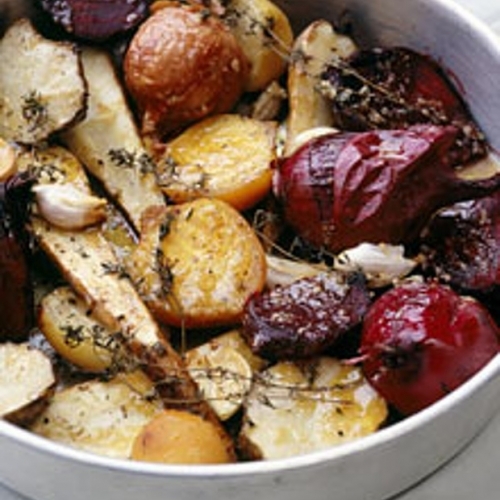 Roast carrots, parsnips and beetroot. 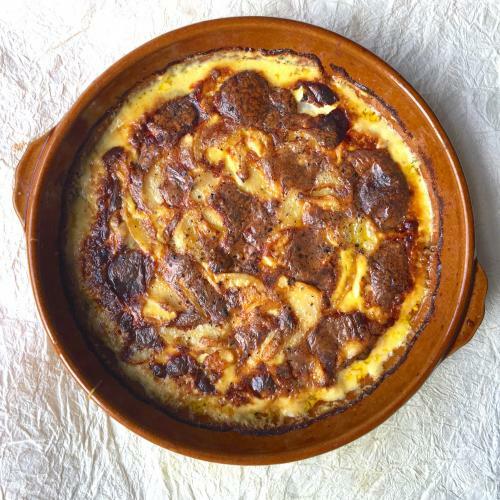 Mash of potatoes and apples. 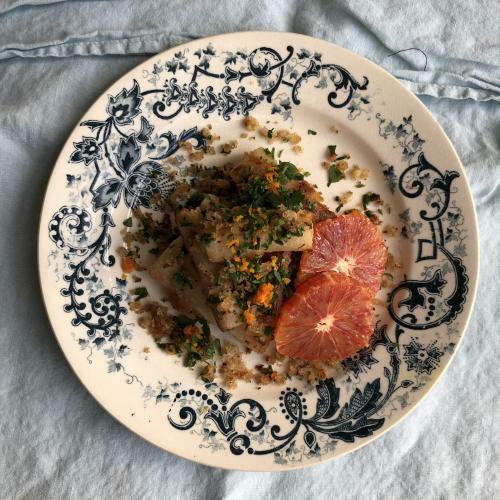 Steamed salsify, fried with grated orange zest and breadcrumbs. 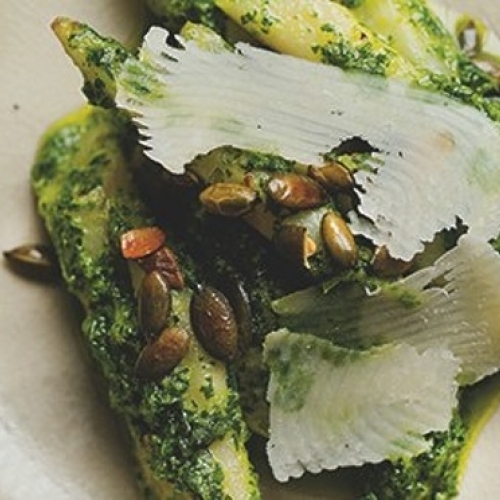 Salsify with toasted pumpkin seeds, chives and sheep's cheese. 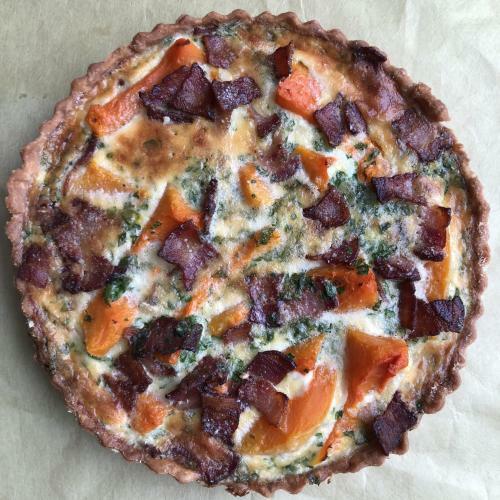 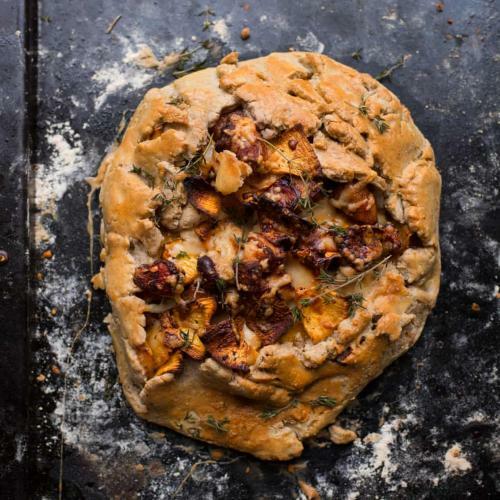 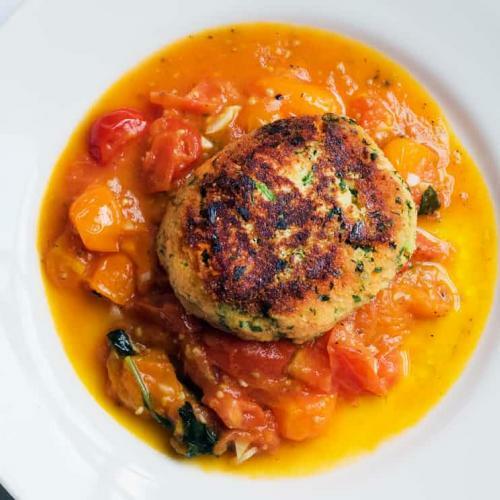 A tart of butternut squash, bacon and Parmesan with a cheese crust. 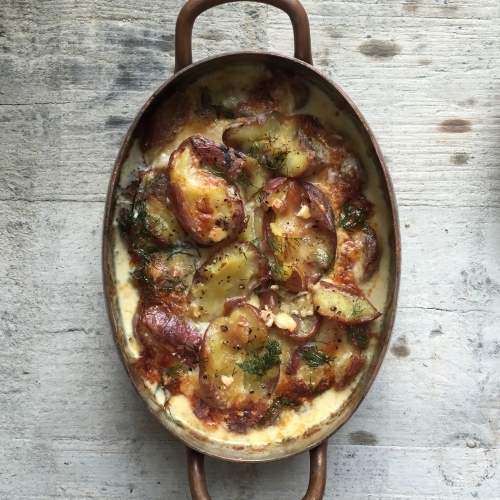 Potatoes, creme fraiche and cheese. 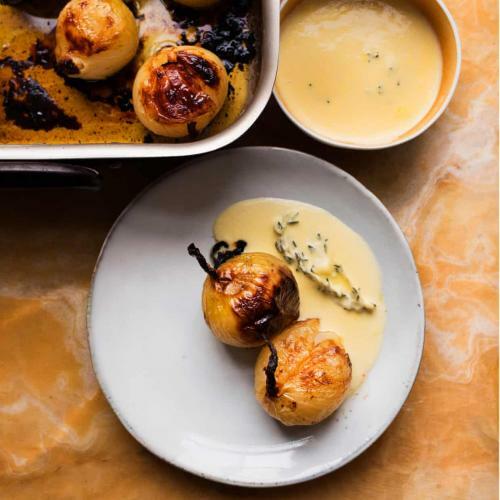 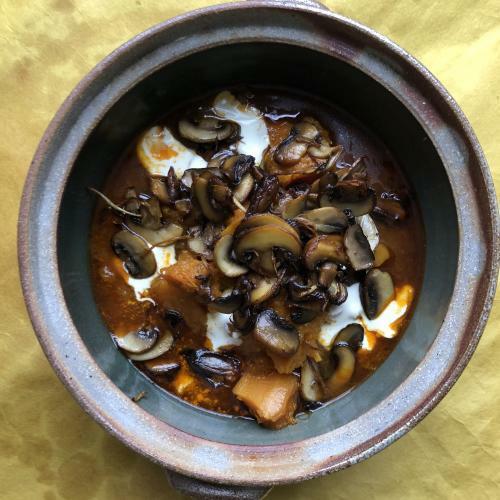 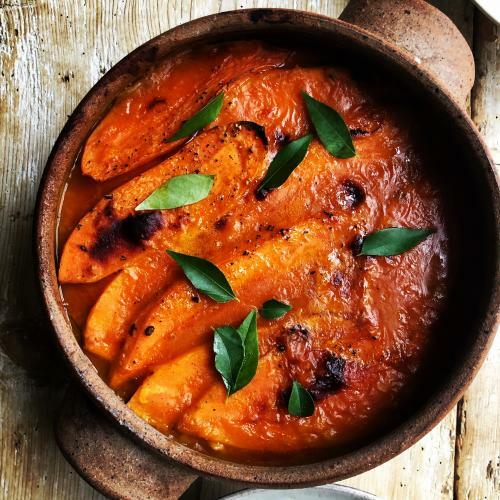 A dish for deepest winter. 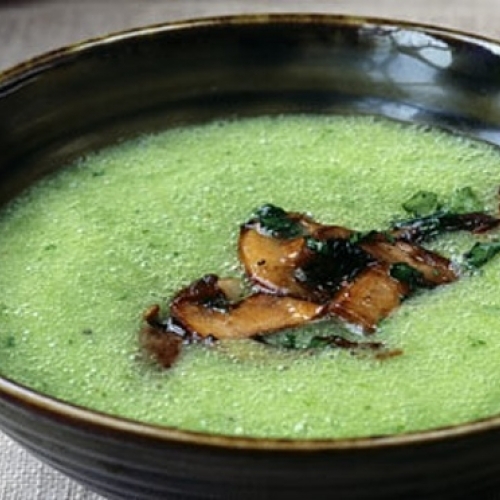 A warming potato and parsley soup with mushrooms and onions. 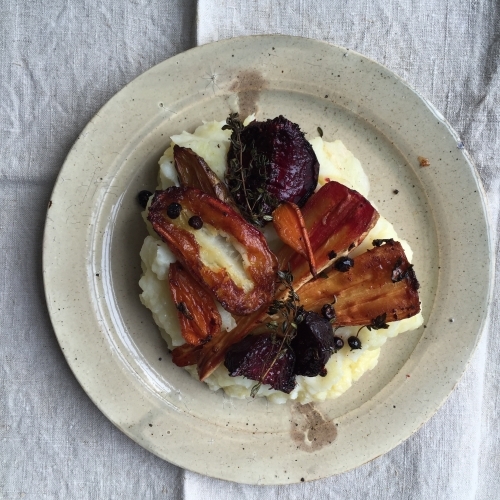 Beetroot, carrots and parsnips roasted with honey, grain mustard and fresh horseradish. 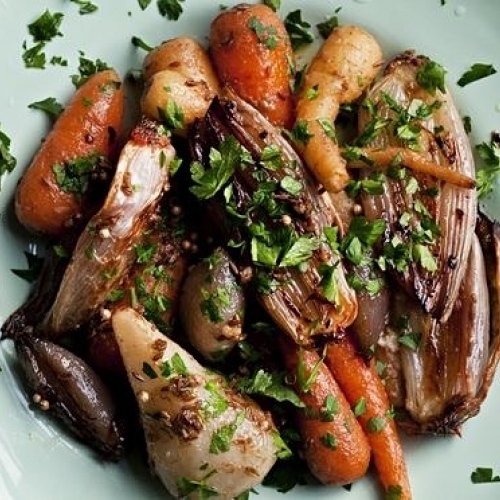 Shallots, parsnips and winter roots cooked with spiced butter. 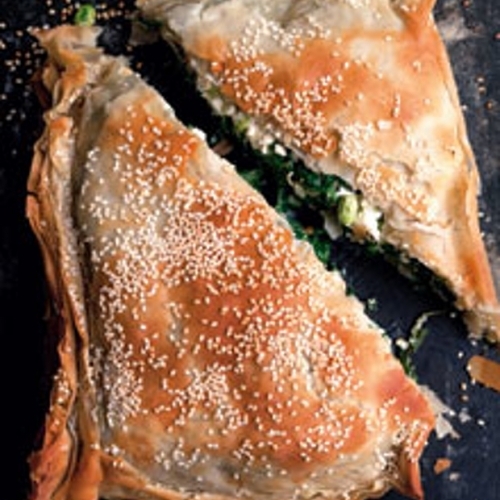 A crisp pie filled with spinach, broad beans and feta.